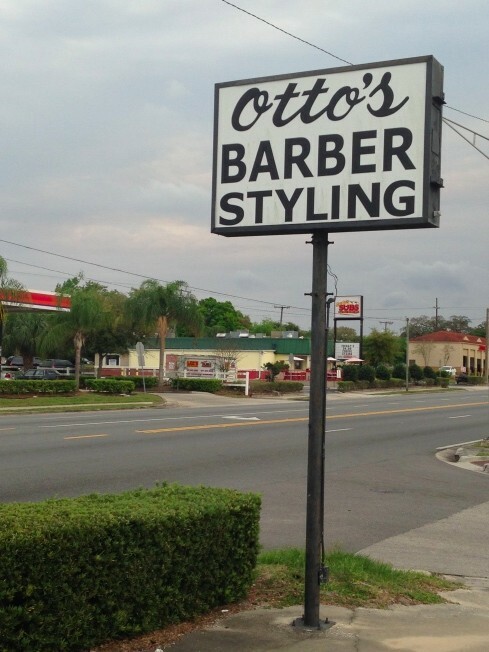 Otto Thomas, the man who buzzed, cut, styled and tried to keep the heads of generations of Sanford men from looking disheveled, died Tuesday, March 25, 2014. He was 82. Thomas had been in declining health after suffering a stroke two months ago. Thomas was the proprietor of Otto’s Barber Shop in the 2400 block of French Avenue. When he retired in August 2013, Thomas had been a barber for more than 59 years, enough time to see hairstyles come and go and come back again — multiple times. His customers knew him not only as a barber, but as a dedicated family man, an active deacon at Central Baptist Church of Sanford and a quiet yet commanding presence throughout the community. “Otto was very low-key, but people responded to him wherever he went,” said Leon Wilkerson, Thomas’ brother-in-law. What many of his customers may not have known was that Thomas was a talented athlete, who played church- an city-league softball for many years. An avid outdoorsman, Thomas was blessed with excellent hand-eye coordination. “I’ve never seen anybody who was a better shot,” said Wilkerson. Thomas was born April 28, 1932, in tiny Bell, Fla., a rural community 40 miles west of Gainesville. His father died when he was about 12 years old. His siblings had already left home, so it fell to Thomas to run the family farm for his mother. Years later he put those skills to good use when he began cultivated pecan trees. At one time, Wilkerson said, the pecan grove grew to 100 acres. After graduating high school, Thomas was drafted into the U.S. Army during the Korean War. He was stationed he Germany attached to an engineering division for much of his two-year service. Thomas was honorably discharged from the Army, and he used the G.I. Bill to enroll in the Jacksonville Barber College. After completing the school in 1954, Thomas moved with his young bride, Maxine, to Sanford and worked at Thomas’ Barber Shop. The shop was owned by his brother Adolphus Lamar (A.L.) Thomas and located at 105 S. Palmetto Ave. In 1960 Thomas went out on his own and opened Ottos’s Barber Shop at the northeast corner of 20th Street and French Avenue. Seven years later, he built a new shop at 2422 S. French Ave., where the business remains today. Wilkerson himself is a long-tenured barber — 40 years — and has managed Otto’s Barber Shop for a number of years as Thomas slowly reduced his workload. And while he enjoyed his time working with his brother-in-law, it’s the family memories Wilkerson treasures most. Thomas is survived by his wife of 62 years, Maxine, of Lake Mary; a son, John Thomas, a retired school superintendent in Hardin County, Tenn.; a daughter, Janet Parker, an optometrist, and husband, John, of Maryville, Tenn.; two grandchildren, Rachel and Ellen Thomas, both of Hardin County, Tenn.; a sister, Carrie Wilkerson, and husband, Leon of DeBary; and a niece and nephew, Jessica and Matthew Wilkerson, both of DeBary. Receiving of friends will be 5 to 7 p.m. Friday, Mar 28, 2014, at Baldwin-Fairchild Funeral Home at 5000 County Road 46A, Sanford. Graveside services will begin 11 a.m. Saturday, March 29, 2014, at Oaklawn Cemetery in Sanford. For more information, contact Baldwin-Fairchild Funeral Home.